Do you aspire to play college tennis? If so, don’t miss out on the opportunity of a lifetime! 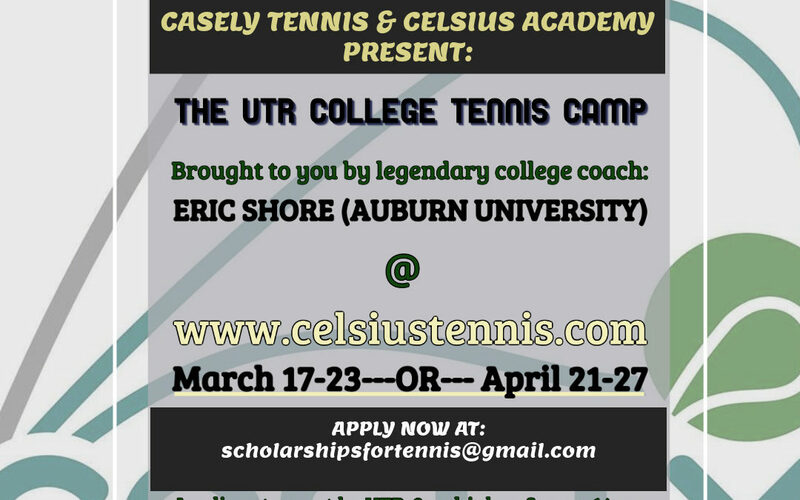 Since doubles is such an integral part of college tennis, we have invited doubles legend Robert Seguso (Former world # 1 & Multiple grand slam champion) to be the guest coach at this camp. Experience living in our dorms, eating performance specific diets and training/competing like a top Division 1 player. This Spring, come down to Sarasota, Florida and train with other top UTR players in a perfect college setting. *Each player will receive a customized college video and be advised on which colleges are best for them based on their tennis level, test scores and grades. Email us at scholarshipsfortennis@gmail.com with your Name, Email address, Contact # (or WhatsApp #) and tell us why you think you are a good fit for this Camp. If you have any questions you can call us (or WhatsApp us at 1 (941) 400-3087. See you on the Courts! 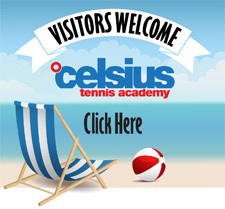 Go Celsius Tennis!